Did this program in LA. Smoking in 1981 and alcohol in 1984. Both worked beautifully for me. I feel that anyone that it does not work for has other issues. You should leave there sober. That was there job. If you are someone who also needs on-going counseling have it set up before you go in. Based on MY experience there should be nothing here but 5 stars. Anyone that it did not work for I am sorry. I know how difficult it is but worked for me. Only posting this now because I was not aware they were still in business. Left Santa Barbara and LA and just thought they were out of business. 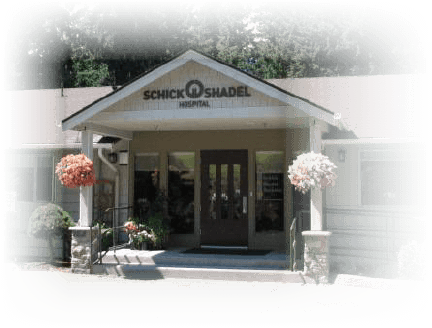 years Schick Shadel Hospital (SSH) has been committed to providing a supportive and compassionate environment and the highest level of patient care and satisfaction to the diverse population we serve. SSH embraces patients of different race, religion, color, gender, sexual orientation age, national origin, disability, marital status, and effective, unique and proven medical treatment for people with substance use disorders to help them live a clean and sober life. With the end of the year approaching, call now and have our admissions team check your benefits to see if you are covered at 100% with no out of pocket expense to you. Schick Shadel does create aversion to alcohol very effectively. They do a great job with caring staff to let you go through your necessary process without feeling judged. You will leave with tools to help maintain sobriety. If you are in need of dual diagnosis though there may be more helpful programs out there for those with mental health issues. That all depends on your situation not a fault of Shick. Do some research. 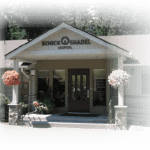 Schick does offer a unique technique that can equate to 2 years of counseling....so they might be exactly what your dual diagnosis situation may benefit from. Come in with an open mind and trust that it can work. If it doesn't get up and try something again. I don't understand the negative reviews. There are alumni of this program all over the US that are clean and sober after attending. The program works. It worked for me, and I am stubborn to say the least. What they can't do for you is make you want to quit. YOU have to do that for yourself. If you don't give yourself to the program, don't expect to get anything out of it. They are not using magic here, you have to want it. If you do, Shick will give you the tools and the kick in the pants that you need. This place saved my life! As a hard drinker unable to stop this place Made it so I don't have craving or an erge to drink. This place is simply amazing. Patients are friendly and wanting to get sober unlike other rehabs. The staff are incredible. If you or a loved one are serious about getting sober go here! If I could if give no stars I would. My husband went here for alcohol dependency this last month. Although I warned his counselor that he also had a sexual addiction (and often time addicts will switch one addiction for another), they only treated him for the alcohol and ignored the sexual addiction. They also told him how 'unhealthy' and 'toxic' our relationship was, instead of working with him to see his behavior and how it contributed so he could accept his part of responsibility for it (as I had already been doing-attending Al Anon and seeing a therapist). With this type of support and skewed knowledge he decided that getting a girlfriend at rehab was the answer. He came home and ended the marriage bc he was so healthy now and I wasn't, plus now he had a new object of his dependency. They have one family counseling session, which is nothing for the damage alcohol does to a family. They also post that their success rates are high but actually that is only considering a short term longitudinal study of a year, most relapse. Before he got the girlfriend in rehab he told me some people were there their second or third time. Shick Shadle is a scam. Long term rehab (30-60, more days) is much more successful. It may work for less severe dependency issues (relatively new addictions) but not ones that have been in place for years. Not only that but their Medical model does not give the proper supports for success and dealing with the outside world after treatment. After all, these are addicts who had a hard time coping with the world in the first place.